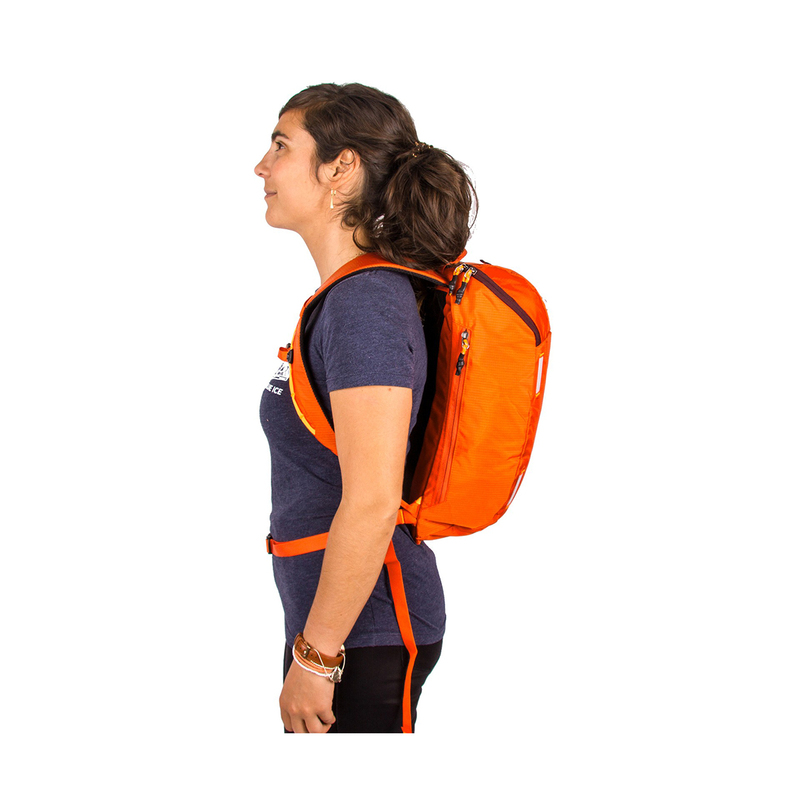 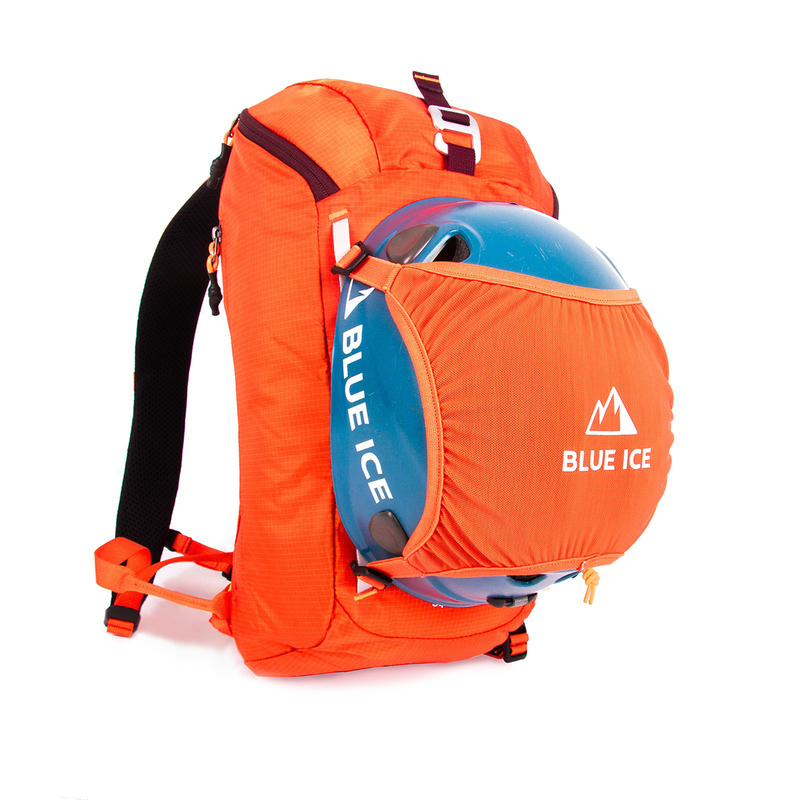 The Blue Ice Squirrel 12L is a small yet comfortable (padded) backpack that's ideal for carrying just the essentials. 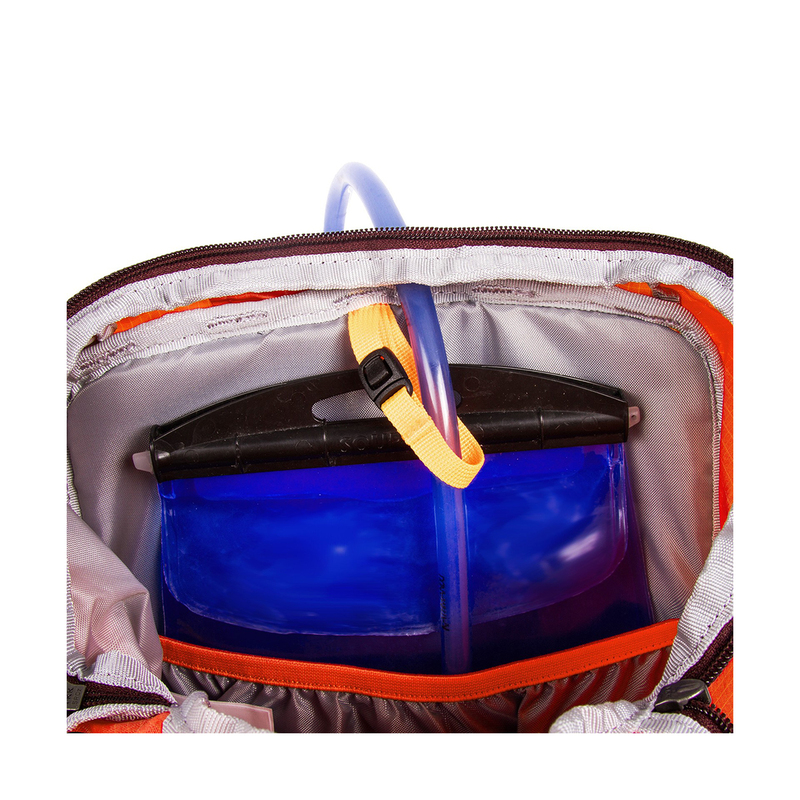 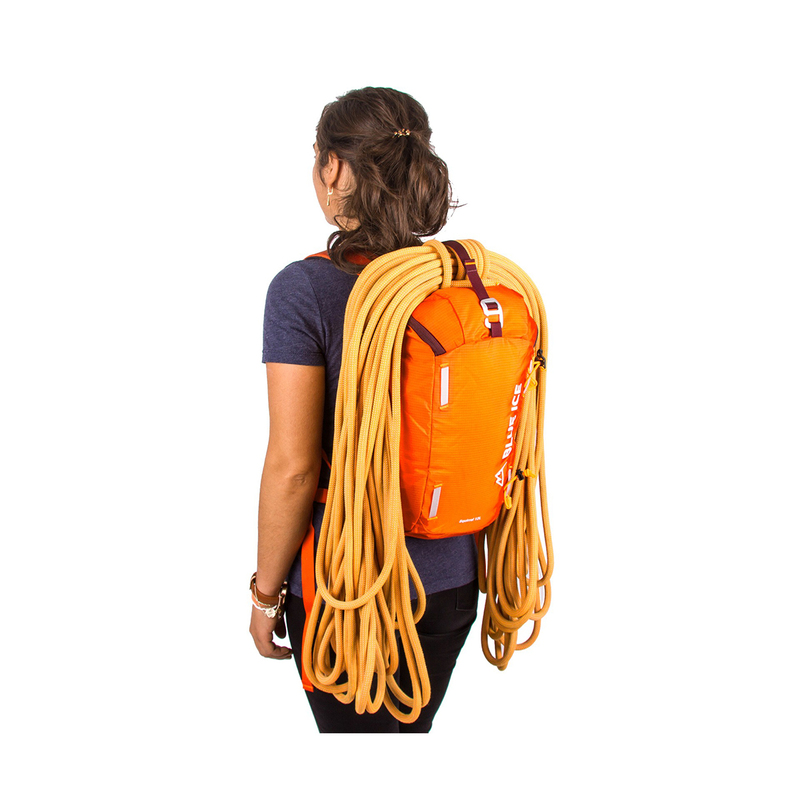 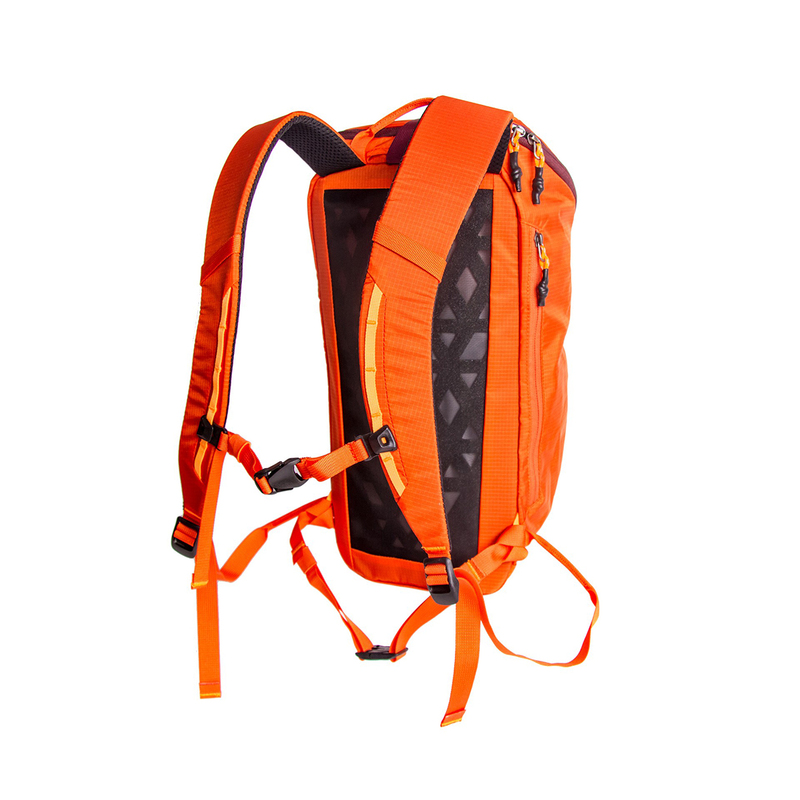 It can fit a water bottle, climbing shoes, chalk bag, and a hardshell, as well as a rope and a helmet on the outside. 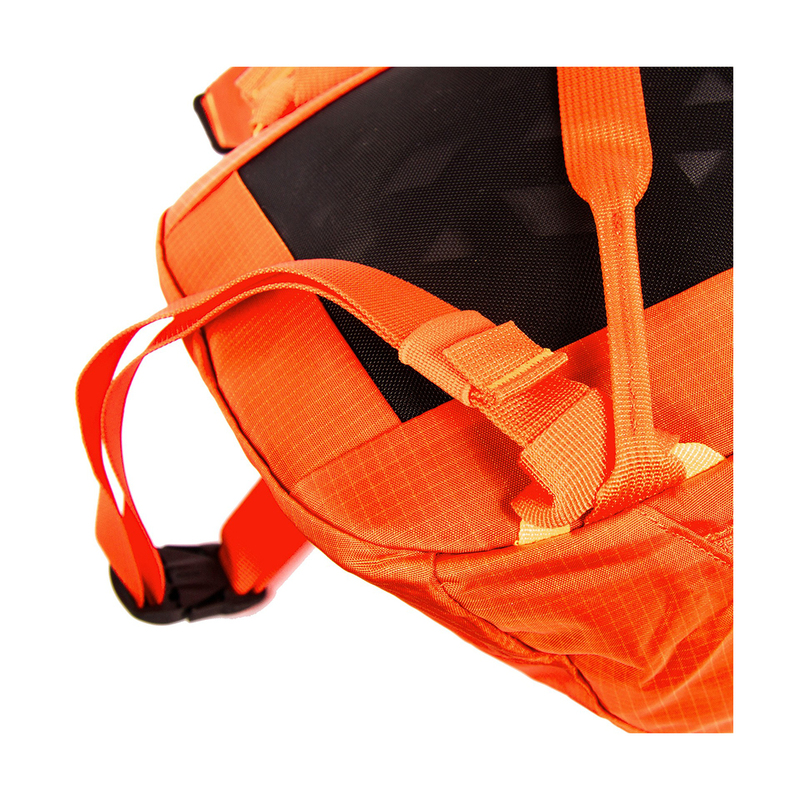 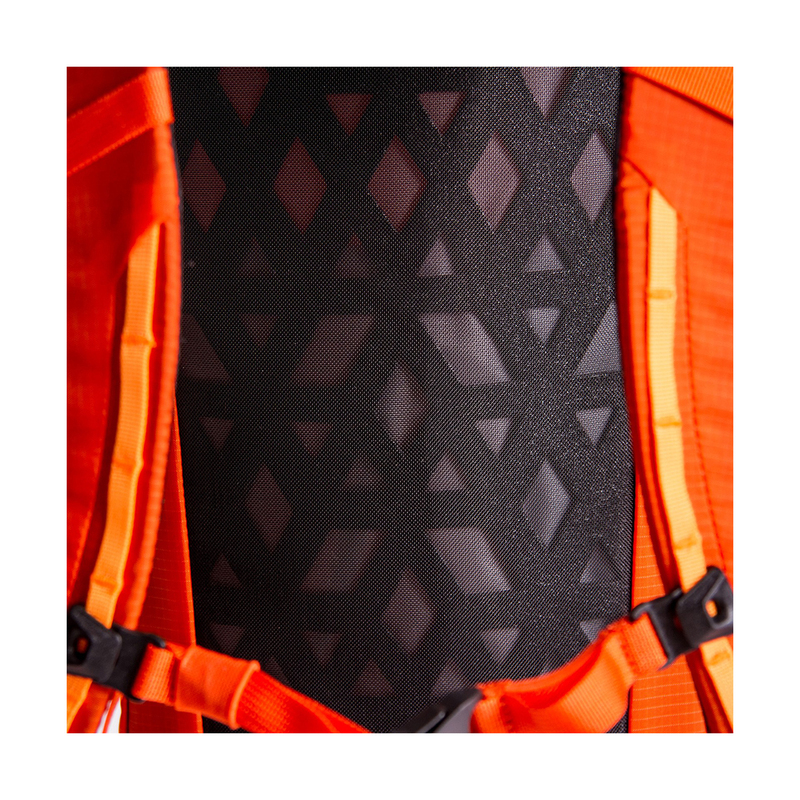 Ripstop nylon ensures high resistance to rips and tears. 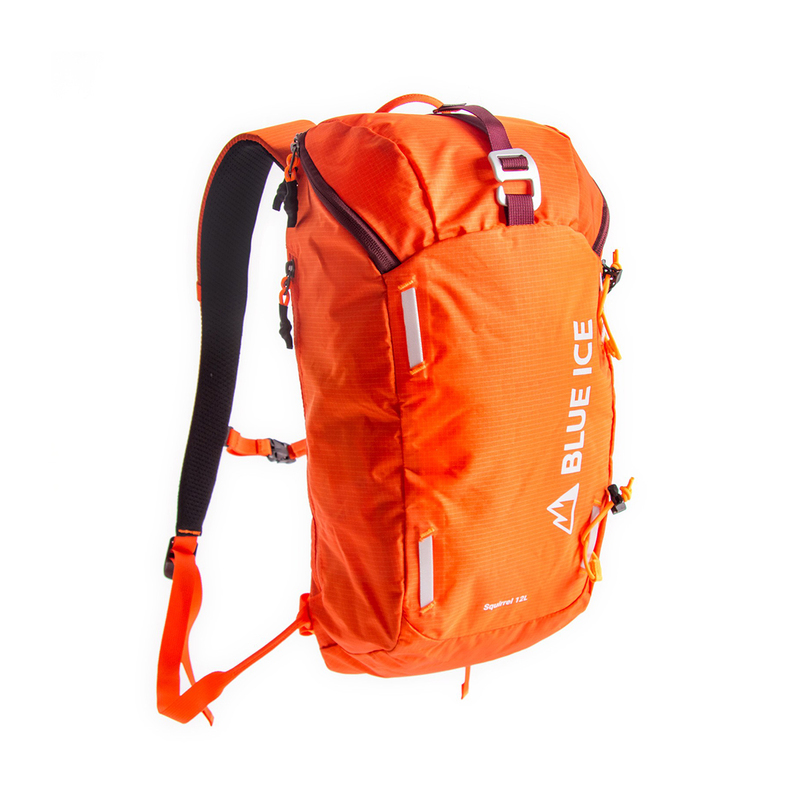 Small but durable.